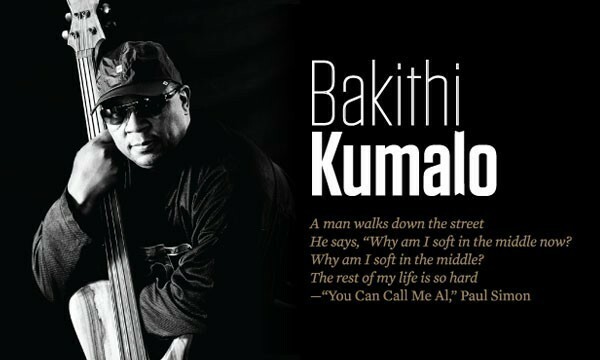 Bakithi Kumalo is best known for his fretless bass riff on “You Can Call Me Al,” a track he recorded with Paul Simon for the Graceland album in 1986. When Kumalo first played the riff for Simon, it was met with approval. Simon only asked the bassist to change one small thing: he asked Kumalo to play it backwards. The bassist complied and music history was forged—Bakithi went on tour with Simon, the start to a partnership that continues to this day. Like many lasting collaborations, the one between native New Yorker Simon and Kumalo, who grew up in Soweto but eventually moved to Long Island, almost never happened. It was a risk for Simon to visit South Africa in 1985 when there was an international boycott against the county due to its apartheid policies. But Simon listened to a cassette of Johannesburg township jive by the Boyoyo Boys of Soweto and he couldn’t resist finding the source of the sound. But while Simon, Kumalo and the rest of the South African rhythm section spoke the same musical language, they were unable to communicate directly through speech. Kumalo, then in his late 20s, spoke a regional African dialect peppered by epiglottal clicks, so he and Simon had to rely on a translator to facilitate their early conversations. The pair managed to overcome their communication difficulties and the contrast between Kumalo’s bubbly rhythms and Simon’s challenging lyrics made Graceland an enduring classic. Even before he teamed up with Simon, music was always a positive force in Kumalo’s life. His grandmother sang in church and his mother was a singer as well. His father played guitar, but he was not a presence in young Kumalo’s life. It was his uncle Donda, a saxophonist, who brought music into Bakithi’s house by frequently practicing there with his band. “We were poor,” Kumalo told Pulse of his upbringing in a slum 45 minutes outside of Johannesburg. “Many times music helped us buy a meal. I have had many personal losses in my life, but music always helped me through.” It was with Donda’s band that Bakithi played his first professional shows. Donda allowed his nephew to tag along when he played weddings and conventions and one day, when Bakithi was just seven, Donda’s regular bass player got too drunk to play a scheduled gig. The precocious Bakithi, who had been studying under the tipsy bassist, volunteered to fill in and his musical career began. He played and toured with his uncle’s band for the next several years. It was during this time, on an 18-month trip through Zululand, that a 14-year-old Kumalo developed the unique style that remains his signature to this day. Kumalo’s early musical influences were strongly South African, of course, but he also listened to British and American music on the radio whenever he could. This diversity is part of what’s allowed him to collaborate with artists like Sting, James Taylor, Harry Belafonte, Diana Ross, Cindi Lauper and Herbie Hancock over the course of his distinguished career. “I play rhythm in jazz, rock and classical, not just South African music. As long as there is rhythm, it can be combined with harmony and vocals in all genres,” he said. Although Kumalo has worked with some of the biggest names in music over the years, it was a member of an audience that provided the bassist with his greatest thrill. His fondest memory is playing a concert for Nelson Mandela—an experience made all the more powerful because he grew up only a few minutes from the Mandela home. The thrills keep coming for Kumalo. 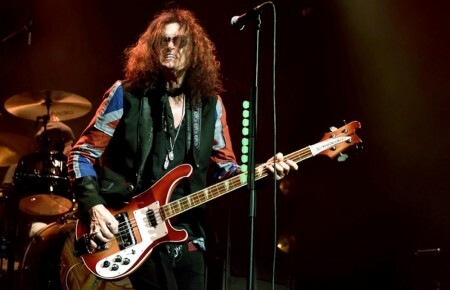 His current gig is playing with Simon and Sting during their On Stage Together tour. The show has already covered North America, New Zealand and Australia and will finish in April in Europe. Kumalo now lives in Bethlehem, Pennsylvania, when he’s not touring, but he and his wife Robbi (a singer and pianist from Patchogue) lived for many years in Setauket with their daughters Mbali and Daliswa. “I love the North Shore of Long Island. There were many times I would go to West Meadow Beach in Stony Brook and play my flute or guitar at sunset. It was always quite beautiful and peaceful.” Kumalo’s other favorite features of Long Island are Montauk sunsets and visiting lighthouses. He’s played numerous area venues like the Deep Hollow Ranch in Ditch Plains and Jazz on the Vine on the North Fork. An unassuming and gentle man, Kumalo became an American citizen the same year Barack Obama became president. 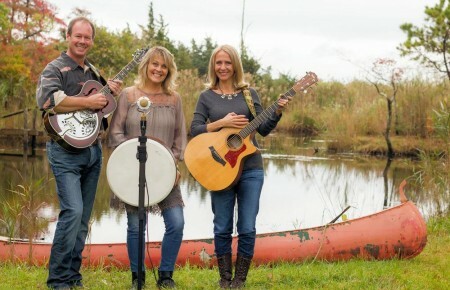 He currently teaches music in several states when he’s not touring, and he beamed with pride when revealing that his children are on the road to musicianship themselves. (Mbali is in college and “Didi” attends a performing arts school in Pennsylvania.) Kumalo’s has been an unlikely story, but it’s one he hopes contains even more surprises. It’s been a winding road from the slums of Soweto to the world’s biggest stages, and to think it all began with one backwards bass line.